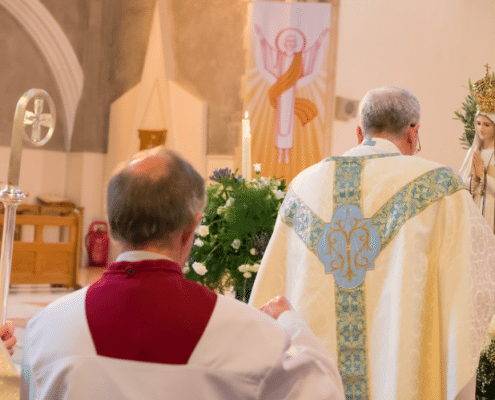 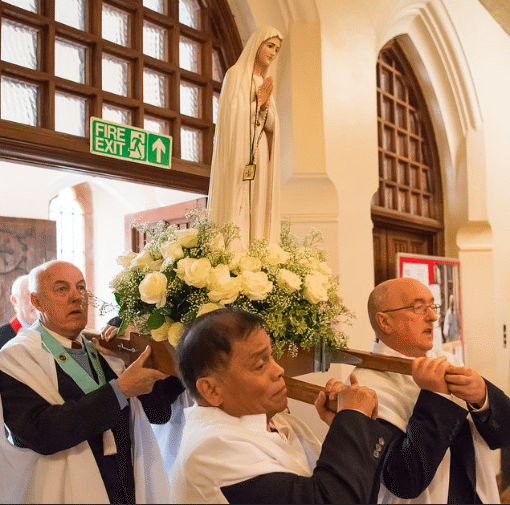 St. David’s Cathedral was thronged with pilgrims and worshippers on Saturday 6 May in order to welcome the statue of Our Lady of Fatima in the Centenary year of the apparitions. 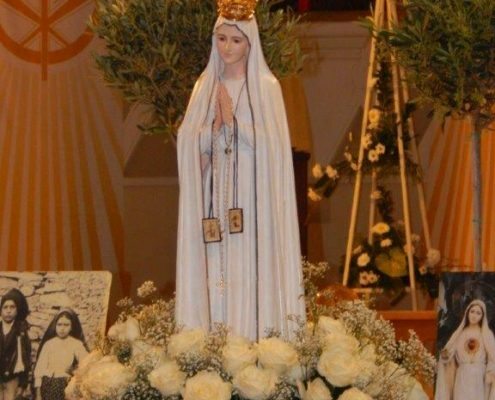 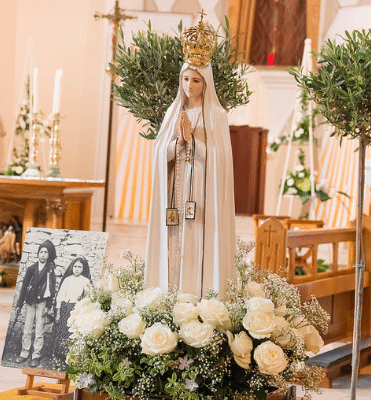 The statue is being brought to Cathedrals throughout the country in order to make a link with the pilgrimage of pope Francis to the shrine at Fatima next Saturday, 13 may, the Feast of Our lady of Fatima. 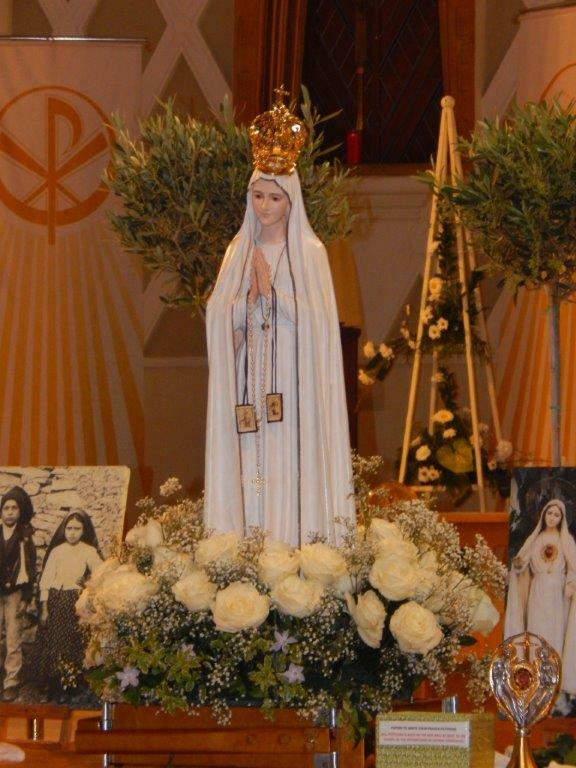 During the Centenary Mass the Holy Father will proclaim two of the child visionaries saints. 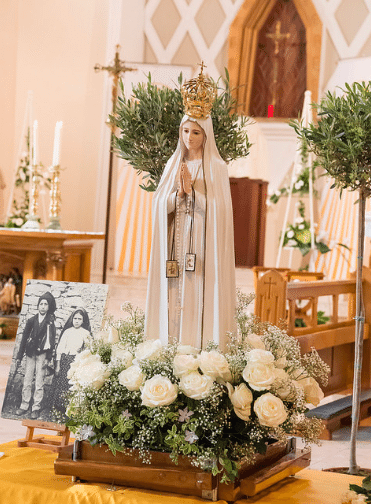 Our pictures show the statue crowned with the new golden crown containing part of the bullet which lodged in the stomach of Pope John Paul II during the assassination attempt in St. peter’s Square on 13 May 1981. 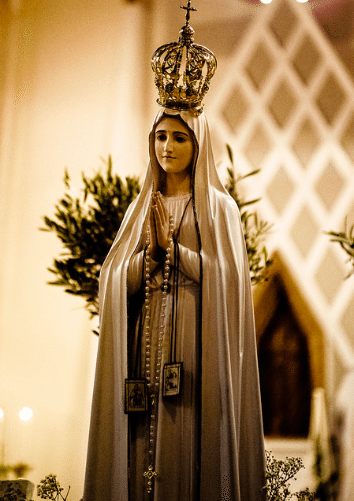 The Pope credited his survival to the intercession of our Lady of Fatima. 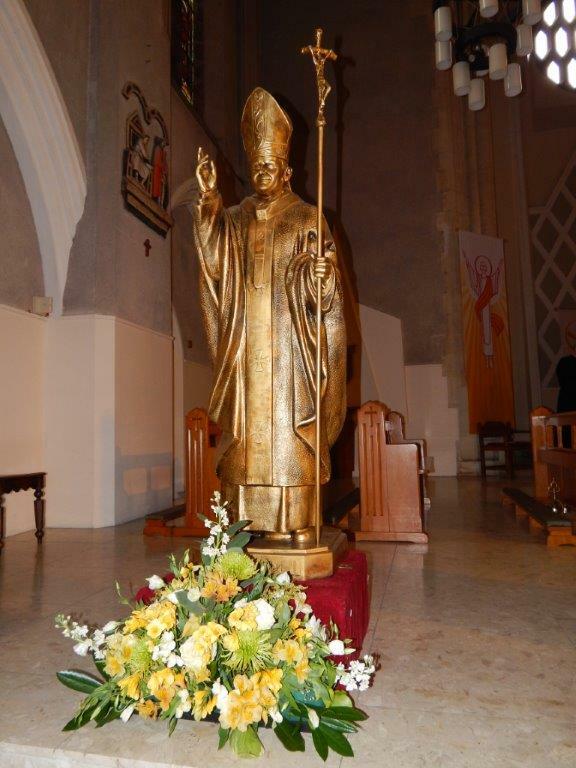 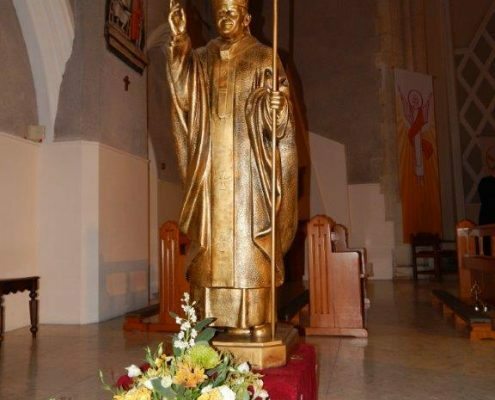 In order to celebrate this link between the Pope and his heavenly patroness, the statue of Pope John Paul II was also placed on the sanctuary during this special weekend. 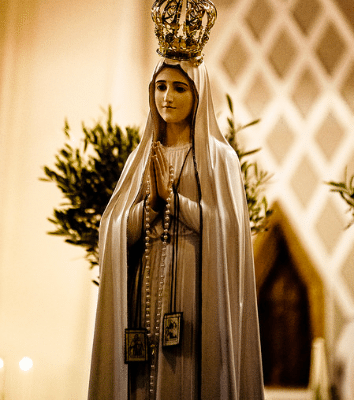 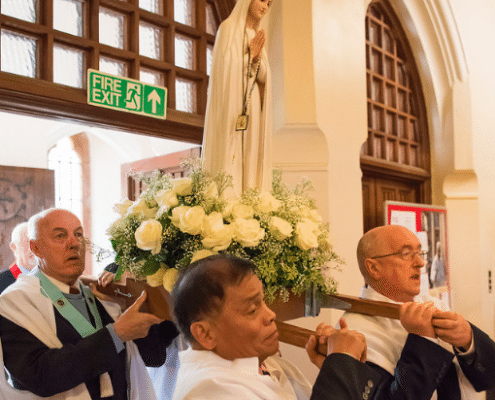 At the conclusion of the choral Mass on Sunday morning, the statue was taken to Nazareth House for devotions and a procession in honour of Our lady of Fatima. 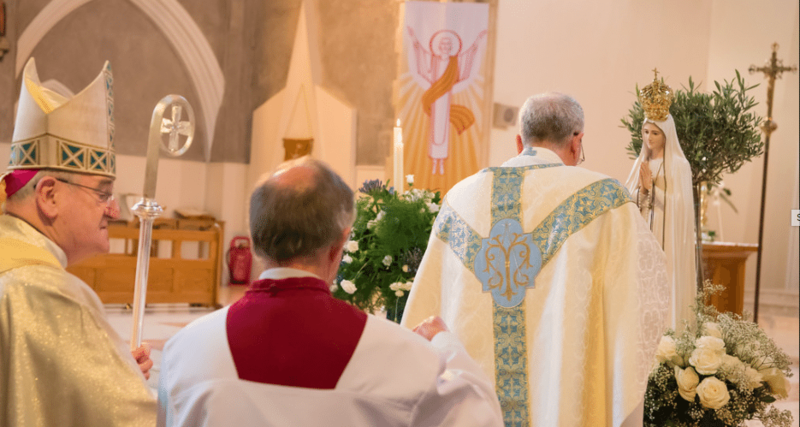 Photographs courtesy of Michael Woodward.